If you have a young child in your home or a toddler, you usually want to make sure that they do not touch the computer and other electronic equipment, because we all know that they love to smash their little fingers on the keyboard. Kids seem to be attracted to the computer and there are lots of software programs for children that are either fun to play with or teach them in a way or another. Little Voice Commander has been specifically designed for very young kids, who are just starting to learn to speak. The fullscreen program acts on keys that are pressed on the keyboard and words that are spoken by a user in front of the computer. The listening part requires a connected microphone, for instance one attached to a headset. The software tries to match the spoken words to images that are then displayed on the screen. The same is true for keyboard input, only that photos and images that begin with the letter are shown on the screen. 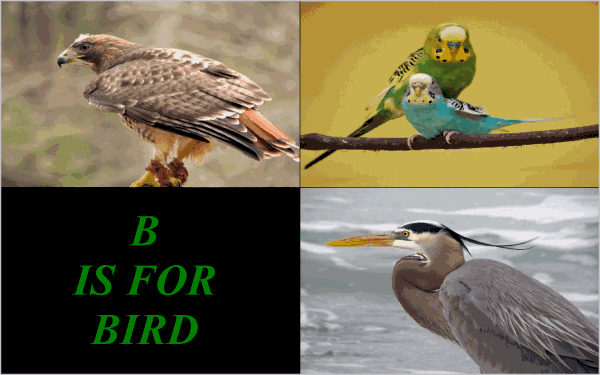 If you press B or say something that resembles the word birds you get to see photos of birds on the screen plus text that displays the recognized word. Little Voice Commander runs in fullscreen, you can close the application with the Esc key and open the extensive settings menu with Ctrl-Alt-O. There is a lot to configure here: From the font size of the displayed text over additional photo directories used to link words or letters to transitions and effects. One of the coolest features of the program is the ability to add your own photos to it. You could add photos of parents, grandparents, pets or locations that are familiar to the user to add a personal note to the program. New images are added to a subfolder of the program installation. Just add images in the form name_number to the directory. The program uses Sapi5 speech runtimes which are part of Windows Vista and Windows 7. Windows XP users may need to install the runtime if they get errors on startup. Little Voice Commander ships with a set of royalty free photos. You may want to add more photos to the program to improve the recognition of words and add more variety to the application. All in all it is a great program that will keep kids entertained for some time on the computer. Even better, it makes them associate words with images. Little Voice Commander is the latest free application offered at Donation Coder. The program is compatible with all 32-bit and 64-bit editions of Windows from Windows XP on to Windows 7. Downloads are provided at the Donation Coder website. 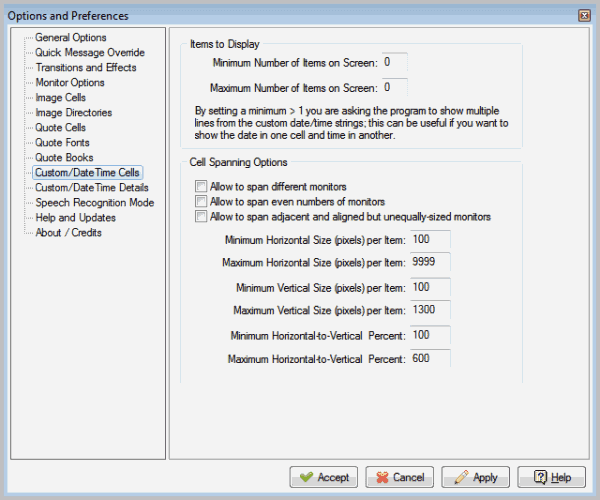 The SAPI5 runtime is linked on the same page. Thank you so much for mentioning the program Martin — a really nice surprise since I’m not sure anyone would have otherwise heard of it. If anyone has any feature requests, let me know. I’d love to see some more image packs shared for the program. Martin is the best at finding these gems. I would have never heard of this otherwise. I have a niece that will love this to be sure. B is for Bollo… Joke. This looks good! If I have a kid anytime soon, he or she shall be on this!